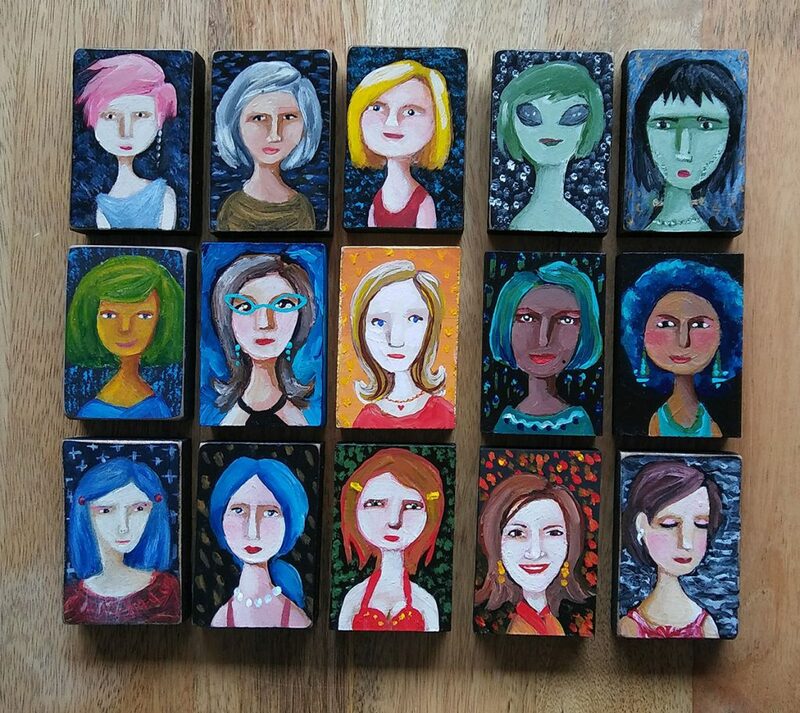 Just when we ran out, Pam Seatter delivered a whole new set of ‘Pam People’ blocks to us. The Mobile Art Machine has been restocked for your artistic enjoyment. Stop by Rediscover Records in April to pick up your own ‘Pam Person’ for only $5 each.